Tony is part of the Innovation & Technology team at Resilience Capital Partners and comes from a background of product innovation in aerospace, defense, medical equipment, industrial technologies, consumer electronics, energy & power electronics, lighting, controls, and wireless (IoT applications). An electrical component design and manufacturers’ representative focused on helping both executive leadership and design engineering teams leverage new software and hardware technologies to think bigger and grow their business with the right industry partners. 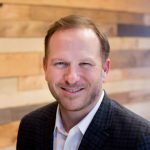 In addition to advising and investing in several technology startups, Tony is on the board of directors at Hallmark, Luminance Lighting, LKD Aerospace and Magnum Technologies. Since graduating from The Ohio State University College of Engineering, he’s spent 15 years in business development in the electronics design space for hardware, software, and embedded firmware projects. 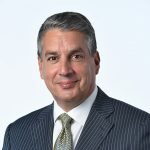 He has been representing companies like Honeywell, Panasonic, Vicor, and Laird Technologies to create strategic partnerships and aid companies (both public and private) in design, strategic sourcing, and electronics manufacturing.